Massaging the Mindset: An Intelligent Approach to Systemic Change in Education is a must read. Massaging the mindsets of staff is a great way to lay a foundation for change in school systems. If educational leaders desire swift collective changes to occur in today’s schools, they must approach change differently. The reader becomes immersed in a journey of the mind and other human elements that school and district leaders need to take into account in order to facilitate smooth transitions. 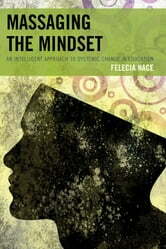 This book examines the psychology behind systemic change. School leaders will be equipped to view change from a perspective that has rarely been acknowledged. The reader will begin to see change as a process, and will understand the steps needed to attain targeted goals. School leaders will also understand that before any specific changes can take shape in a school system, leaders must first develop change skill sets in staff. Then, and only then will change become a part of school culture. Once this takes place, moving initiatives forward becomes a systemic effort, and administrators will find they have less time management issues as they can then spend more time focused on being a true instructional leader. Whats Race Got To Do With It?